Il primo round di FA Cup vedrà il Notts County impegnato con l'Accrington Stanley Domenica 9 Novembre alle ore 16.00 (ora italiana). 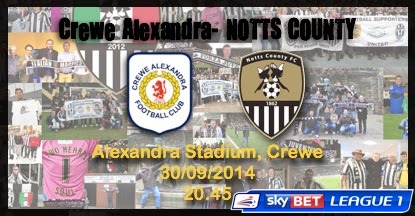 Notts County: Carroll, Dumbuya, Adams, Hollis (c), G Thompson, Cassidy, Jones, Noble, Harrad, McLaughlin, Laing. 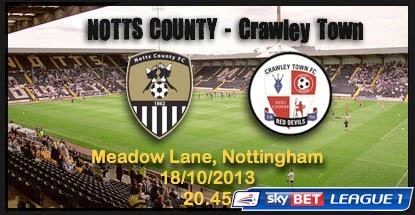 Sostituzioni: Spiess, Ismail, Wroe, Smith, Murray, McKenzie, Cranston. Gillingham: Buywater, Martin, Egan, Hause, Loft (c), Hessenthaler, McDonald, McGlashan, Morris, Pritchard, Dickenson. Sostituzioni: Morris, German, Linganzi, Norris, Davies, Dack, Hoyte. 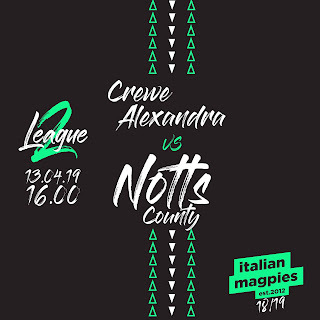 Crewe: Davis, Garratt, Tootie (c), Guthrie, Ray, Oliver, Waters, Leigh, Haber, Ness, Tate, Grant. 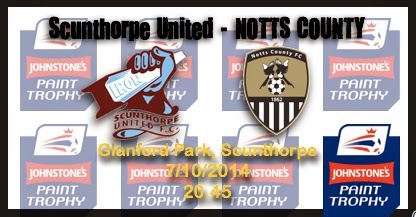 Sostituzioni: Shearer, Dugdale, Turton, Atkinson, Inman, Cooper, Nolan. 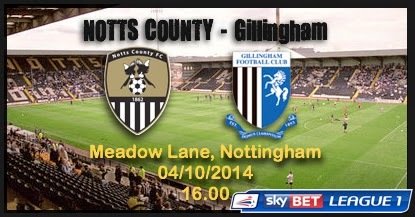 Notts County: Carroll, Dumbuya, Hollis (c), Laing, Cranston, Noble, Wroe, G Thompson, McLaughlin, Harrad, Cassidy. Sostituzioni: Spiess, McKenzie, C Thompson, Traore, Adams, Ismail, Murray. 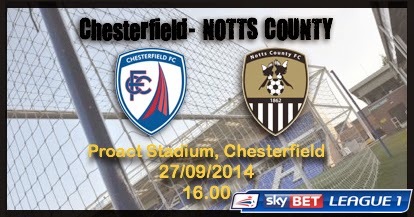 Chesterfield: Lee, Evatt (c), Ryan, Cluca, Johnson, Darikwa, Margreitter, Banks, O'Shea, Gnanduillett, Doyle. Sostituzioni: Wright, Dawes, Raglan, Humphreys, Boco, Gardner, Lamb. 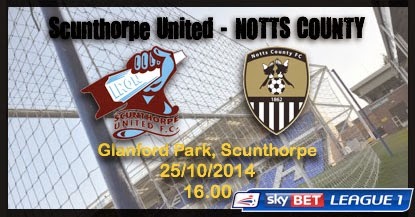 Notts County: Carroll, C Thompson, Hollis, Laing, Cranston, Smith (c), Wroe, Noble, Adams, Ismail, Cassidy. Sostituzioni: Spiess, McKenzie, Traore, G Thompson, Murray, Harrad, Haynes.